Larson has really been pushing the idea that Barbara Gordon feels unfulfilled in her life, but the thought bubbles rarely reflect the actual actions in the comic. 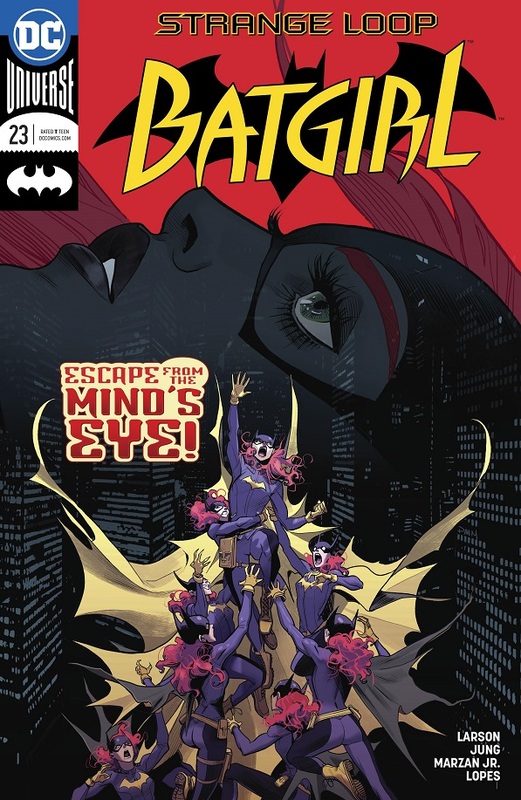 Batgirl is still trapped in the prison of her mind after being shot by a deadbeat dad’s fancy ray gun while breaking up a domestic dispute. She tries to meditate her way out of the jam, but her own brain keeps working against her. So she deduces that she needs to act really out of character to freak her brain out. When her brain prison creates a scenario where her father is in jeopardy, Babs just walks away instead of engaging. Then she visits Mind Kai and not only reveals that she is Batgirl, but plants a big smooch on the lug! That is enough to break her free and she stops the deadbeat dad again, while promising to try and get out of the rut she finds herself in. Larson has really been pushing this idea that Babs feels like she’s in a rut lately…but the issues themselves don’t really reflect that. 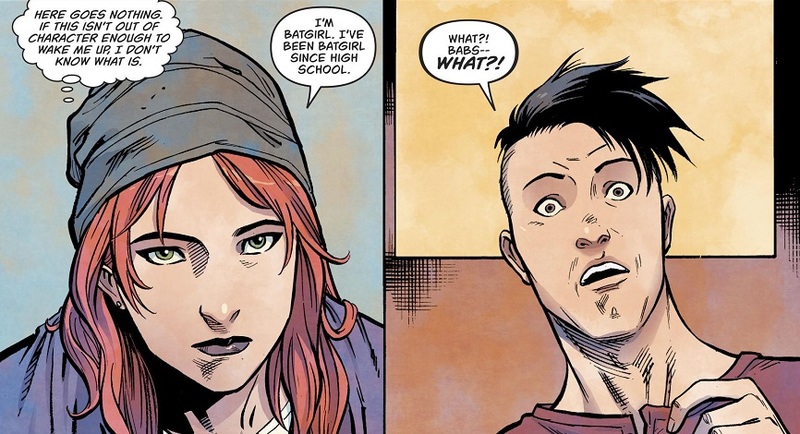 Larson’s Batgirl doesn’t actually spend much time as Barbara Gordon, so we don’t really get to see this rut. She’s usually always Batgirl off on another superhero adventure, which doesn’t seem that bad, with the bright, colorful art. Her theme would feel more real if we actually saw Babs in the rut. Instead, this issue is jam-packed with endless thought bubbles as Batgirl thinks her way through her current predicament. It’s a fun enough story, but the overabundance of thought bubbles explaining each step, and the pretty straight forward conclusion, don’t really raise the issue to any great heights. Batgirl is stuck in a neat trap, then susses her way out of it, day saved. The really interesting stuff, like revealing her identity to Kai and being the forceful, romantic lead, are all just pretend, so they’re not that interesting. 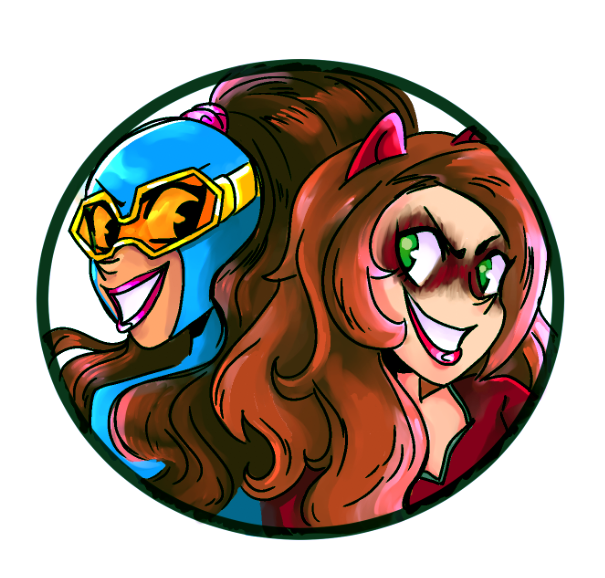 How about a story set in Barbara’s real life where she meets a guy that she actually likes, pursues romantically and trusts with her secret identity? I would read that! TL;DR: A slightly neat story idea plays out as expected, with a bit too many thought bubbles for my tastes. They really cram them in there. This is it! The grand finale! Everything Tynion has been building towards ends here! And it’s a pretty darn fun ending! Stephanie Brown has hacked into The General’s systems and stops Tim Drake and Batwoman from killing each other. She plays Tim the rest of the memories from the Evil Future. Basically, Kate didn’t just straight murder Bruce Wayne. He was dying of radiation poisoning from building Brother Eye, so he asked her to kill him to get it over with, and to benefit her position — like how Snape killed Dumbledore. Once he sees the truth, the real Tim is able to break through the OMAC programming and he’s able to shut down The General’s whole operation. 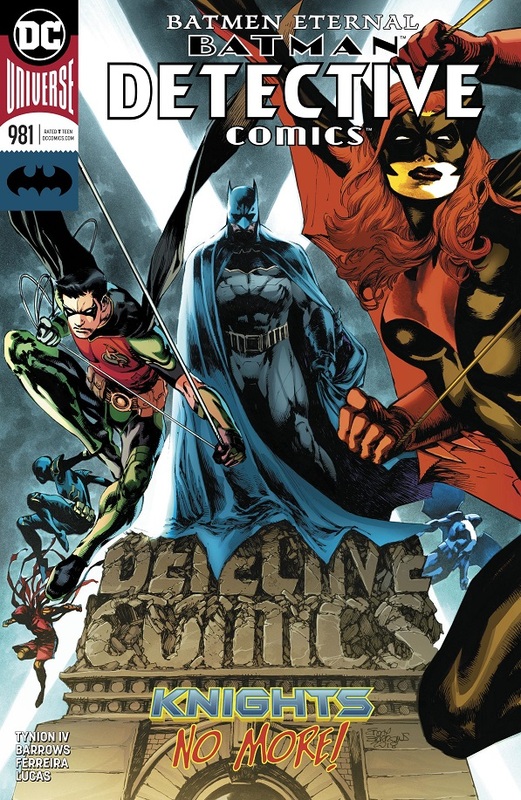 Stephanie and Batman take care of Ulysses, and Batwoman is there to help Tim Drake recover. Afterwards, Bruce and Kate make peace, Batwing retires, Azrael goes off to find himself, Cassandra goes to live/work with Leslie Tompkins, with tutoring from Barbara Gordon, Clayface lives and disappears into the night, and Tim and Stephanie head out into the yonder to explore the possibilities behind multiple timelines. How do you say goodbye to such an epic Batman run? Like this issue, I suppose, with generally happy endings for all and a day saved. I liked that about this comic, though it reinforces the idea that there weren’t too many long-lasting stakes to come out of this series. A few of the minor Batman characters are different now than when they started, most for the better. Tim Drake has a new direction in life, one that I hope gets picked up going forward. Tynion, an avowed Tim Drake fan, much like myself, did his best to turn Tim into a world-class superhero again. 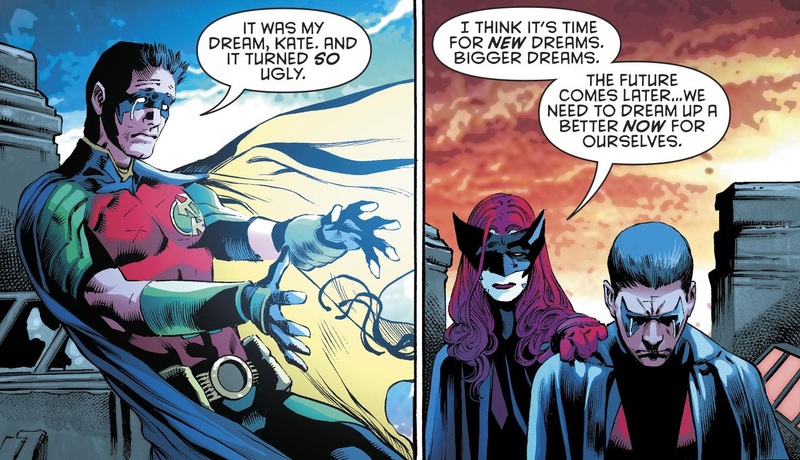 But I fear he’s still going to be the redheaded stepchild of the Robins — despite arguably being the best Robin. But now is not a moment to worry about Tim’s future. Now is a time to celebrate Tynion’s kickass comic. The finale is pretty darn awesome, with the good guys triumphing against the General through sheer force of will and goodness. We get a lot of nice character moments, like Batwoman comforting Tim once the dust has settled, and then all of the mini epilogues that see characters off to their upcoming futures. I’m slightly disappointed that Tynion undid the murder of Clayface, as it was a solid ending for the character and a real changing moment for Batwoman. But I like that he puts Cassandra on a strong path going forward. Hopefully Babs teaches that girl how to freakin’ speak! James Tynion and his various artists created a very fun Bat-Family comic. They told some cool stories, used the various characters very well and did right by my favorite Robin, Tim Drake. That’s good comics to me. 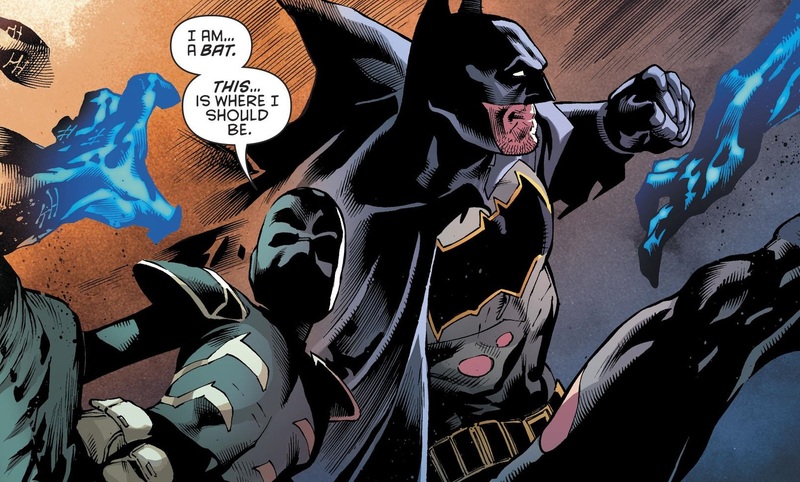 TL;DR: James Tynion’s Detective Comics run comes to an end with a grand finale and a bunch of solidly enjoyable goodbyes for all his characters. Quality comics. No Justice has been a lot of fun so far, and the action just gets crazier and weirder in part 3! Vril Dox explains to the Justice League that they got played by Brainiac. He didn’t see them as equals who would help him save his planet. Brainiac planned to use each of them like tools with specific functions, and they would help him not only save Colu, but conquer it as well. The various heroes and villains respond to this by being even more determined to save the day. Wonder Woman re-ignites her tree by sheer force of wonder, Harley Quinn convinces Cyborg to think outside the box to re-ignite their tree, and Batman’s team re-ignites their tree. All that remains is Superman’s team, and they start saving all the trapped planets. It looks like the day will be saved! Even Starro joins in by having the Atom enlarge him so that Starro can try to take over the Brother (known as the Omega Titans, even though ‘Four Brothers’ is a better name). Except the Omega Titan just rips Starro off his face, killing him. And Colu explodes while the League and all its denizens try to evacuate. Meanwhile, back on Earth, Green Arrow and Amanda Waller keep bitching at each other until its too late, and the four Concept Trees start growing across the Earth, because the Four Brothers have arrived. The interesting character dynamics/interactions are gone, but the story is still solidly wild and weird. Everybody pretty much just does what they’re supposed to do here. It’s fun, but less entertaining than when Snyder and friends were pitting new and unique character pairings against each other. There are still some standout moments. I think Starro taking over the Omega Titan could have been played bigger, but there was a lot to cram into the art in those pages. His death is acceptably gruesome though…even though it kills the character with the most personality in this story so far. That’s usually never good. Snyder and company easily ratchet up the tension for the failure on Colu, so it’s an exciting story. There still isn’t much depth to the Omega Titans. They’re about as interesting as their generic name implies. But it’s still a solid, enjoyable story about the Justice League and various hangers-on trying to take on a bunch of Galactuses and failing. Also, I can’t be the only one who wants to see more Starfire vs. Sinestro somehow in the future. TL;DR: Justice League: No Justice just gets bigger and crazier! A bit of the strong character work disappears in this issue as the action takes over, but it’s still exciting. I think I might be growing particularly fond of The Silencer. She’s not yet trebucheted to the highest ranks of my favorite DC characters, but this series is still good. The Silencer is the prisoner of Deathstroke, who wants her to get back into the game to stop the Leviathan Civil War. Silencer breaks out of her cuffs and tries to fight back, but the two keep reaching stalemate after stalemate. Deathstroke explains that when The Silencer killed that Leviathan boss as her way out, that proved to the other bosses that they couldn’t trust Talia, leading to the Civil War. So he believes it is all The Silencer’s fault, so she’s the only one who can solve it. He wants her to turn on Talia and hand her over to the bosses, since he claims Talia was the one who blew Honor’s cover in the first place. Then he lets the Silencer go. Honor calls Talia and asks for a meet, and Talia decides to show up during a mommy/son bonding day between Honor and her son. Talia drops buy during lunch at a nearby diner, and Honor is furious. She gets Talia to admit that she exposed Honor to the rest of Leviathan. Of course, Deathstroke expected Honor to go straight to Talia, and he’s been tracking her. Deathstroke and his employer now have both Honor and Talia in their sights, and they send their henchmen in to kill everyone in the diner! You can tell a book is good when an issue is mostly just talking heads and it’s still really exciting and entertaining. I like my stories to be about characters far more than just action or fisticuffs. 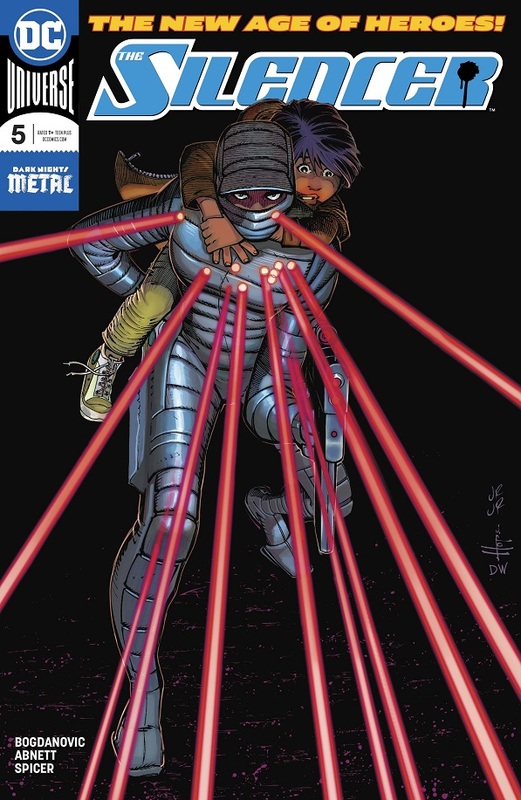 And this issue really delivers in the strong character work and dialogue. It’s basically just Deathstroke explaining the bigger picture to Silencer, and it’s still fun! I like the back and forth between the two. It helps to flesh out Silencer’s character and history, considering she’s supposed to be this big huge merc legend, but we’ve never heard of her until now. Abnett doesn’t shove her down our throats to get us to like her or believe in her history. He plays things cool, using Deathstroke to boost her up. Thankfully, he doesn’t just jobber Deathstroke to make his new character look cool, and has Deathstroke one-up Silencer by the end. That’s fun stuff. TL;DR: The tension and excitement of The Silencer keeps getting better. Even an issue of mostly back-and-forth dialogue is pretty darn exciting! Yep, I’m still reading The Terrifics and I’m not about to stop anytime soon! It’s still that darn good…though it’s far from perfect. Mr. Terrific has decided to take the team on a field trip to return Phantom Girl to her home planet of Bgztl, because it’s a nice thing to do. They head out into space, but are pulled out of hyperspace by a junker ship grabbing them for scrap (though we find out later that somebody planted a tracking beacon on them, attracting the junker). 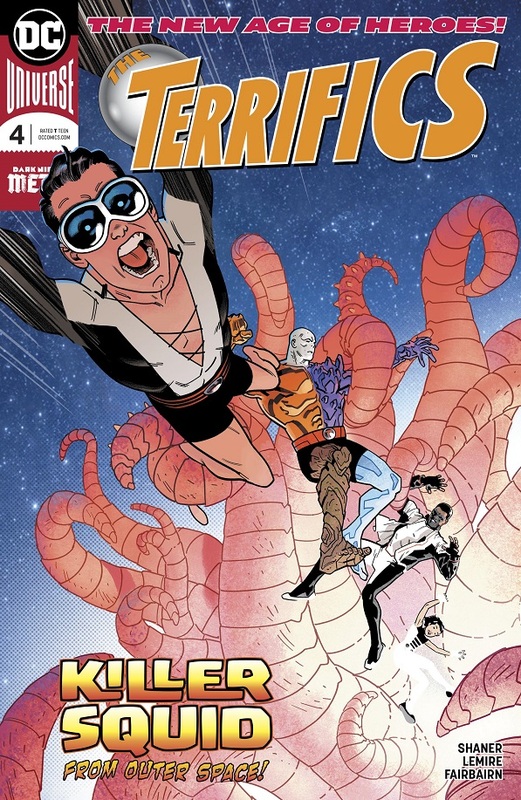 Once on board the ship, the Terrifics have to fight a garbage disposal monster, the space pirates that operate the junker, and then the garbage disposal monster’s parent. They get away and continue their trip to Bgztl. When they arrive and find Phantom Girl’s elderly mother, Mr. Terrific drops the bad news that time passed more slowly in the Dark Multiverse than PG realized, and 32 years have passed in our reality. Her mother is old and her father is dead. PG is heart-broken, but her mother and the rest of their denizens assure PG that she’s home. I think Lemire has a big picture plan in store for The Terrifics, but he doesn’t seem to have any idea what to do with them in the small picture. The bulk of this issue is taken up by the adventure on the junker ship, but it is completely superfluous. Just like the fight with the war wheel in the previous issue was superfluous. Lemire hints that some behind-the-scenes force might be working against them to organize these things, but that doesn’t solve the problem that these are really boring, arbitrary things. A war wheel is about as plain an adversary as you can come up with. And the pirates on the junker ship don’t even get any dialogue, let alone personalities. They feel like a vague and generic action set piece to kill page space. So while I have faith that Lemire is going somewhere with all of this, his issue-filler material is as boring as it gets. Good thing for him his character work is top notch. The characters are the only reason I’m still enjoying this comic as much as I am. Phantom Girl remains about as deep and interesting a character as her permanent intangibility implies, but the other three are a hoot. Nobody should be reading The Terrifics for the plot. Unless you’re going to go to Grant Morrison or Jonathan Hickman levels of wonderment, your space adventure isn’t going to be the selling point of the comic. The Terrifics is fun because Lemire is doing a solid job of smashing Mr. Terrific, Metamorpho and Plastic Man together and giving them some strong character work. There’s a really nice moment in this issue where Metamorpho asks Mr. Terrific if he could look into finding a cure for his condition. It’s quite and nice, and that sort of character bonding/interaction should be the foundation of this series. I just wish Lemire actually incorporated each issue’s plot into that character stuff. Don’t just throw these disparate characters up against some random adversary to give the issue an action scene. Explore the trials and tribulations of what might actually happen between these three characters, who used to be strangers to one another. For example, the team gets new matching uniforms off screen. Phantom Girl mentions it in her diary and writes about how she thinks its Mr. Terrific’s way of bonding them a bit more. Why didn’t we see that scene? Why are we told that it happened long after the fact? How much fun would it have been to see Mr. Terrific convince Metamorpho and Plastic Man to get along well enough to agree to matching uniforms? Superhero teams are a thing in the DC Universe, and clearly that’s what the uniforms imply. Why not a scene where the four of them come to terms with the idea of forming a makeshift team? Plastic Man comes up with the name ‘The Terrifics’ off the top of his head this issue, but he only says it to Phantom Girl. How much you want to bet that the team name sticks without any discussion? That’s a perfectly valid scene to actually write out, and a fun one at that! Why not show the nuts and bolts of this crummy little team coming together? Why gloss over it? For another example, Phantom Girl also just mentions in her diary that Mr. Terrific figured out a way for her to interact with inanimate objects. So she gets a diary, a team uniform and a hairbrush. For a character whose primary trait so far is that she’s distraught at not being able to interact with the world, why not show us the scene where there’s a breakthrough and she can interact with parts of the world? This series is fun to read, but it really frustrates me. We spend valuable page-space on pointless, arbitrary action scenes that add nothing to the overall narrative, while glossing over and outright skipping interesting-sounding scenes for no particular reason. Granted, this might just be my taste in superhero comics leaking through. I’m probably not supposed to judge a comic on what I wish it would be. But nobody ever accused me of being a right, proper and academic comic reviewer. I just calls’em like I sees’em. TL;DR: The Terrifics remains an enjoyable read with strong character moments, but I wish those character moments were the actual focus of the series instead of the gratuitous action page-filler that we mostly get. 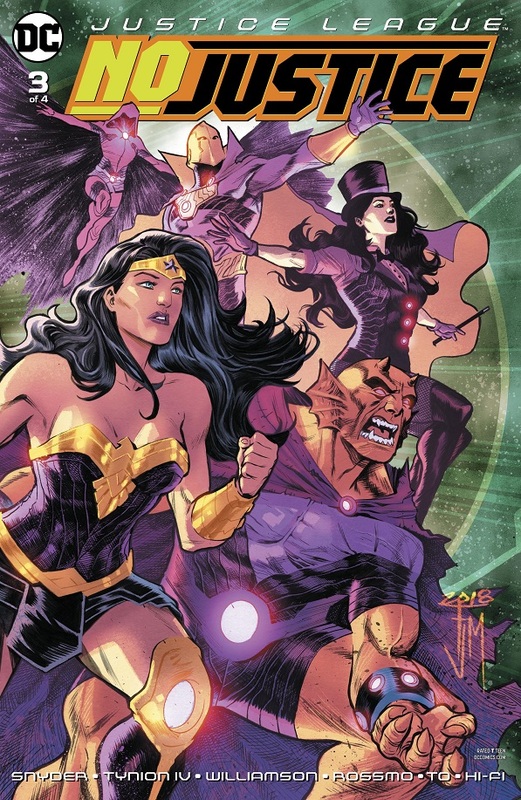 Posted on May 26, 2018, in Batman, Comics, DC, Reviews, Robin and tagged Batgirl, Batwoman, Detective Comics, Justice League, Justice League: No Justice, Metamorpho, Mr. Terrific, Orphan, Plastic Man, Red Robin, Spoiler, The Silencer, The Terrifics, Tim Drake. Bookmark the permalink. Leave a comment.